defined in paragraph 105 of this judgment. alternative fora do not provide an accessible, affordable, timely and effective remedy. iii. The Court, in addition, made a finding that the controversy presented in this case is not pre-mature for the reason that the Strategic Environmental Assessment (SEA) of the LAPSSET Project has not been concluded. 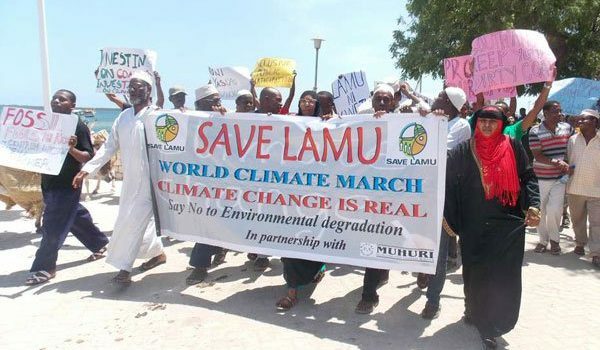 The court also concluded that the proactive approach to environmental governance which includes the precautionary principle which this court is required by our Constitution to apply, makes the present controversy ripe for consideration even before the conclusion of the SEA process. Differently put, the doctrine of ripeness did not preclude this Court from hearing and determining this case. In the result, it is our order that this Court is seized with the jurisdiction to hear and determine the Petition filed herein.